Growing up in upstate New York, Christina Wiesmore-Roberts began to realize she might be gay, but she didn’t feel like it was a safe place to explore it, let alone try to come out. She thought she might feel free to be herself in college instead, but once she arrived at her school in the same part of the country, she still didn’t feel comfortable or ready. When Wiesmore-Roberts was in Atlanta on a work trip one summer during college, she finally let herself explore these feelings and determined she was a lesbian. 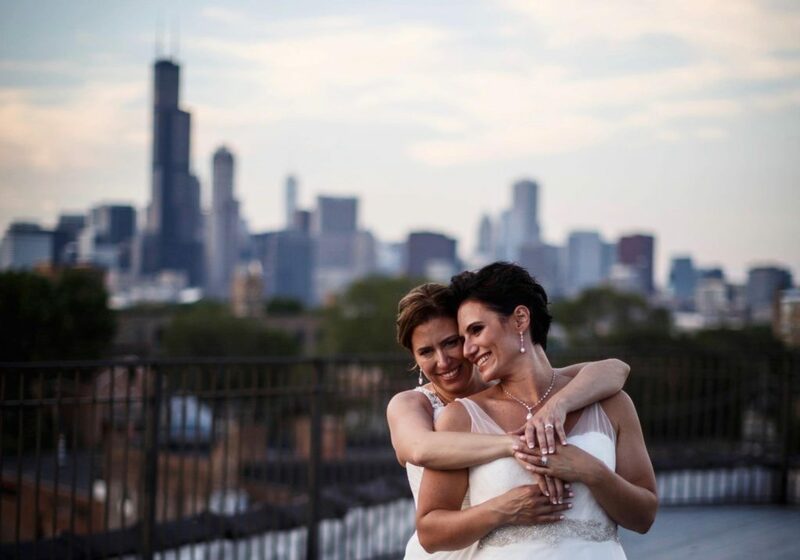 Once she relocated to Chicago, Illinois, after college she found an incredibly supportive community and finally felt ready to come out as gay. 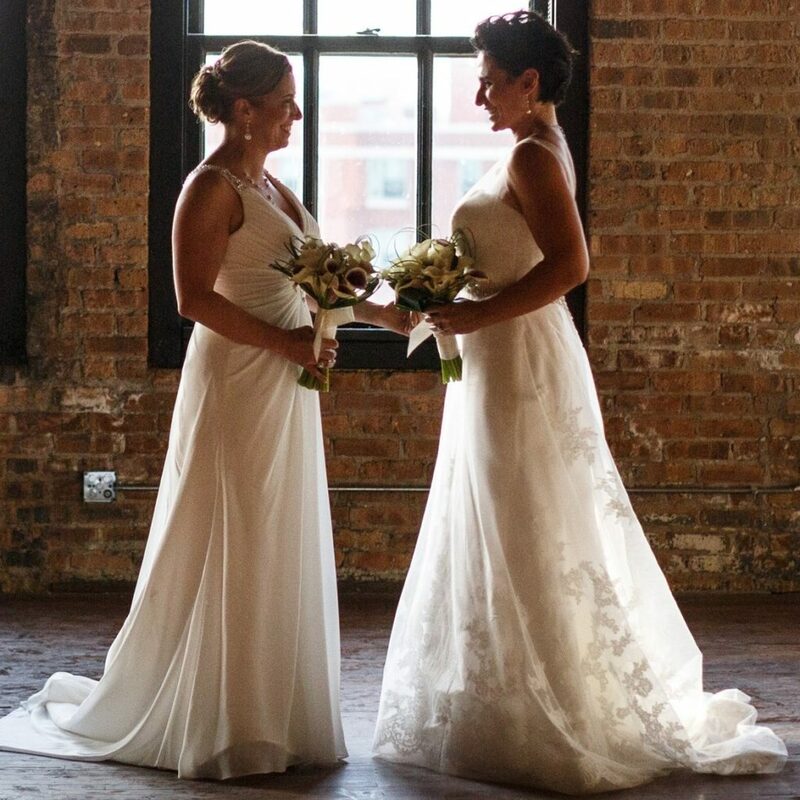 She then met Amie Klujian, who became a dear friend, and later, the officiant of her wedding. The friends began to discuss how Chicago had plenty of events and spaces for gay men, but almost nothing for women. Together, in 2004, the two decided to throw Back Lot Bash, an event during Chicago Pride for LGBTQIA+ women and their allies. The first party was meant to just be a one-time event for the organizers and their friends, but the crowds showed up and wanted more. 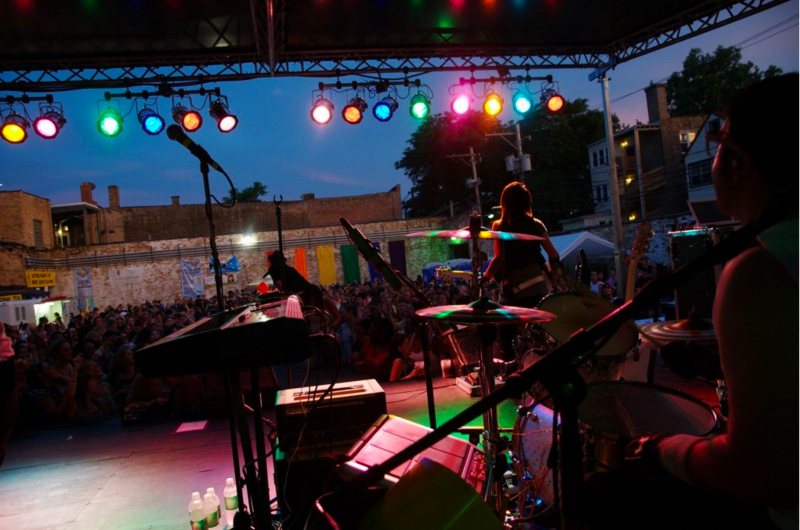 Wiesmore-Roberts and Klujian began hosting the event annually, with it eventually expanding to two weekends and additional events, including a Family Fest for all LGBTQ+ families and friends. 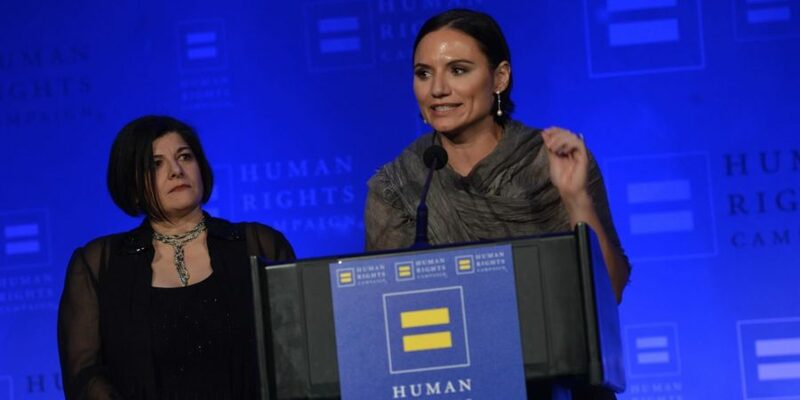 The two women also began hosting other events throughout the year to give Chicago-area LGBTQ+ women a safe space to gather, have fun, and build community, and they have received an award from the Human Rights Campaign for their work. This year’s flagship Back Lot Bash music fest will be bigger than ever to celebrate its 15th anniversary. It takes place on June 23 and 24, and headliners include a DJ set by Kate Moennig (famous for playing Shane on “The L Word”), KITTENS, and Brooke Candy. The Family Fest is also on June 23. Wiesmore-Roberts and Klujian produce all of the community events in their spare time as a labor of love; by day, 43-year-old Wiesmore-Roberts works full-time as a consultant, mostly for non-profits. She and her wife just moved from Chicago to Detroit, Michigan, where she is also focused on throwing events and creating safe spaces for women in the community. This is Wiesmore-Roberts’ story of stepping her into identity as a lesbian, co-creating Chicago’s largest event for LGBTQIA+ women, and transforming the event — and herself — as times change. 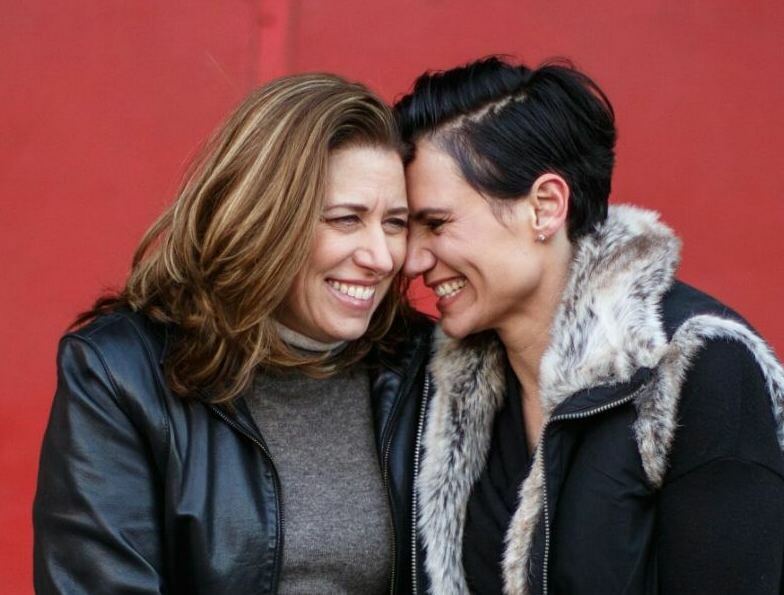 Profiles in Pride: What was your journey to coming to terms with your identity as lesbian and coming out? Christina Wiesmore-Roberts: I grew up in Buffalo, New York, and I was never comfortable. I think I always knew at a very, very young age that I was gay. I was adopted into a family of five, so I had five brothers always around me, and I grew up as a tomboy. But the more I grew up, I knew there was something different about me, but I just was too scared; maybe it was the atmosphere, or maybe it was the surroundings. Being gay was not accepted, so I was too scared to come out. I remember when I graduated from high school, I said to myself, “I’ll go off to college, and maybe I can finally explore and be myself.” Well, I went to college in upstate New York, and I still wasn’t comfortable. It just didn’t seem like a comfortable atmosphere to come out; I was so scared. Then one summer in college, I was working at the Olympics in Atlanta, Georgia, in 1996. It was the very first time I went to Atlanta, and I was by myself. I didn’t know anyone, and I could explore those feelings, which I did. Fireworks went off and I just knew that I was gay. But it still was very tough. I had to go back to college, and then I went back to Atlanta for my first job in the hotel industry, and I explored my sexuality. But I had work in an environment where it still wasn’t accepted. I definitely knew what I was, but I continued to keep it a secret both professionally and personally. It took many years before I could finally say it, but then it just clicked for some reason. I was getting older, I knew this was a lifestyle I wanted to live. I was transferred to Chicago in 1998, and when I first moved there, I just felt this atmosphere of acceptance. I started meeting individuals who were very accepting. I finally started to feel comfortable and then came out — I just didn’t care anymore. I came out professionally and personally to my family and friends. Then in 2013, I met my wife Heather; we got married two years ago. She’s the best thing that’s ever happened to me. PIP: Why did you and your friend Amie Klujian decide to start Back Lot Bash in Chicago in 2004? CWR: It was one of those conversations that I’ll never forget. We were out one night, and the conversation that started was about how we were always seeing all these boy parties everywhere. We just felt that in the environment around us, there was nothing for women. It always had to revolve around all the boy parties everywhere you went. We just had this conversation — “Wouldn’t it be great if we just started a women’s party? A space for women?” Spaces are very limited now, and they’re disappearing. That’s how the idea started. To be honest, it was supposed to be a one-off party. The first one was kind of put together as just “let’s have our friends on stage and jam out.” Believe it or not, over 200 people showed up! We did not expect that. What started as 200 people has now grown to over 6,000 over two weekends, and the event has really transformed throughout the years, especially as people have reached out to us asking us to do different things. We’re honored to be in the community to help provide the safe spaces and events for women in the LGBTQ community. PIP: Absolutely. I’ve started noticing more and more female-oriented LGBTQ events popping up in major cities all over the country since there are so few dedicated spaces left. CWR: It’s definitely a conversation to have. We see a lot of things differently now. As time changes, we all evolve and change with time. One of the things I’ve noticed, especially in Chicago with very limited bars, particularly for women, is the new norm of everything being more accepting. Everyone is now going to more events, whereas back then they didn’t feel comfortable going to any. But now there’s LGBTQ festivals and street fests. It’s interesting because when I explained to you my coming out story, it was in a time that wasn’t accepting. It was really frowned upon, especially where I grew up and especially when I was down South. I was really scared that maybe someone would hurt me professionally and then I wouldn’t have a job. PIP: That makes a lot of sense. Can you talk about why it’s so important to have dedicated safe spaces for LGBTQ women? CWR: Safe spaces for LGBTQ women are important because right now, they’re so limited. This is a time when people want to come together, and we feel the need as women to have a safe place to gather with others in the community. There are not spaces out there that you can just walk into. I’ve talked to so many people who are still not comfortable walking into a straight bar. They want a sense of safety, because there’s still a lot of people out there who find that the bars are closing, and there are no safe spaces for them. We just felt it’s really important. We don’t just throw Back Lot Bash once a year; we throw many events throughout the year to make sure that these spaces are available. We have these conversations all the time. Even though I said the new norm is people going to other fests, there’s still this other side where they often feel uncomfortable going out to other places. PIP: How has it has grown from a one-day event to a four-day event? What types of activities and entertainment does it offer? I’ve changed throughout the time as well. For example, my wife and I are looking to adopt and have a baby. We have this amazing Pride Family Fest that has taken off. It’s a safe space for families and their kids, and we’re proud to say it’s the very first LGBTQ pride family day that we added on. As time went on, we felt there was an important need to have an event focused on just LGBTQ families; it’s a free event for anyone in the community. Whoever you are, you can come in and enjoy a family day with your kids. Another example is we heard back from individuals that they’d love tastings, mix and mingles, and more intimate events. We created Whiskey Wine & Women, a wine tasting event that has blown up. There’s also different outdoor arts. Amie and I have a passion for music. We love music, and we love working with LGBTQ and queer female artists, whether they’re a DJ set style, someone with an acoustic style, or they’re in a band — we try to work with so many different musicians and bands and get them exposure out there. Our love for music and our passion for the community is always expanding, and we listen to the community and their ideas. We also give back to the community. We’re doing this event called Rock the Boat on June 2 with The TaTa Top for women’s health. It’s a new event, and 100% of the proceeds will go back to Chicago Women’s Health Center. Different events have evolved as time goes on, and we change up our events too. 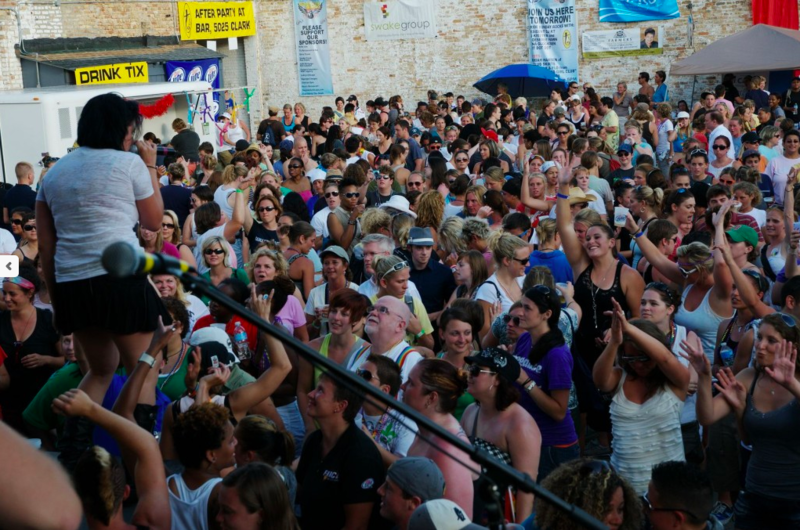 On Sunday after the parade, we used to have all these cover bands. A lot of the younger generation of queer women have reached out and said, “Hey, let’s have a dance party; what about this DJ, they’re great!” So now we have a dance party with DJs. We change our events to meet the needs of the community, and we really listen to everyone’s input. PIP: I saw you have some big names appearing this year, like Kate Moennig and Whitney Mixter! CWR: Yes, we’re excited, especially since we’re celebrating our 15th year. We’re proud to bring in individuals both nationally and locally. We thought it would be fun to bring back Whitney Mixter and Rose Garcia, because we’ve been working with them for so many years, and they were very excited to help us celebrate 15 years. Brooke Candy is such a gem, and she’s been living it up nationally. And KITTENS — what can you say about KITTENS, she’s just an amazing DJ. And Kate Moennig from “The L Word” is coming to DJ as well. PIP: That’s amazing. I’ve been rewatching “The L Word” for the third time recently since my partner hadn’t seen it. It feels a little dated now, but I love seeing how ahead of its time it was, especially when it comes to talking about transgender issues. CWR: I couldn’t agree more. I think it’ll be interesting with the reboot to see how much it’s changed! I’m actually more curious about our conversation now— it’s basically, why we create safe spaces, and how much we’ve changed because it’s been 15 years. You look at the history, and history has changed, so I’m curious about how much the show will have changed from when they first did it to the reboot coming out now. PIP: Absolutely. Is there anything else you’d like to share? CWR: The biggest thing is, Amie and I are proud to say we’re celebrating our 15 years. We’re excited, and we’re definitely going to continue to do the event. Fifteen years is a special marker for us, because it’s something we feel that the community just needed. We are very honored and happy that the community has accepted us, and we’re honored to be working with the community itself. 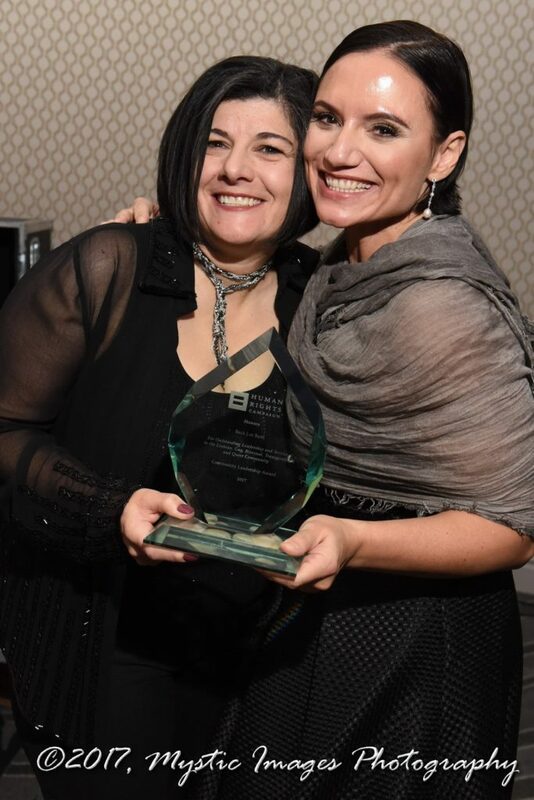 We were blown away when we recently had the distinction of receiving the esteemed Human Rights Campaign community service award this past year for the involvement and impact we’ve had on supporting and advancing the Chicago LGBT community. We’re honored to have that award, and that’s been our mission. We want to continue these events to bring something back to the community and provide that space. Keep up with Back Lot Bash on their website, Facebook page, or Instagram! Featured image by Mystic Images Photography.